The Café Wall Illusion. 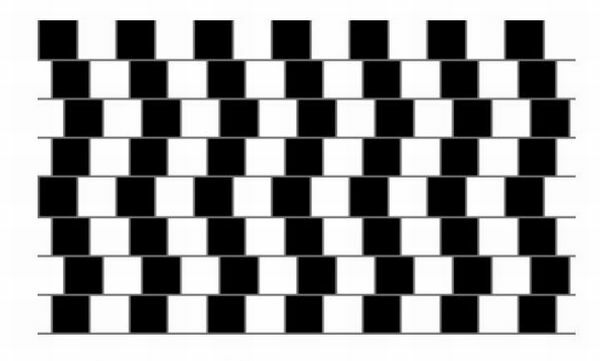 All lines are straight and parallel to each other. Don’t believe it? Put a straight edge up against your computer screen for confirmation.